Reassurance shield after the 222 junction. Stay on US 1 for I-95 and US 40. 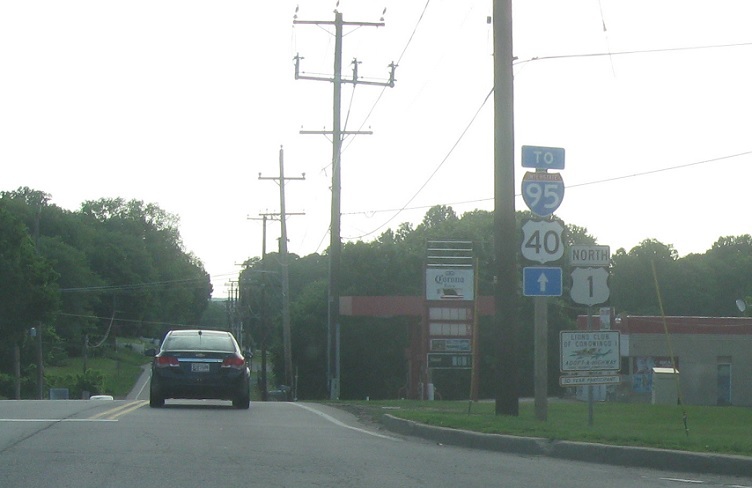 Up ahead, we’ll approach Colora Rd, which is also unsigned MD 591. It’s a short old alignment of 591 that dead ends.